Olympic gold medal winner Bill Furniss is probably best known as the British Swimming coach who helped Rebecca Adlington to win two gold medals at the 2008 Beijing Olympics and two bronze medals at the 2012 London games. However, he is also rapidly becoming a major draw on the Olympic speakers circuit. Given the job of British Swimming’s head coach in 2013, Furniss had coached Adlington since she was 12 at Nottingham’s Nova Centurion club. Before that, the former world record-holder in four events (he broke 10 world and 19 American records as a swimmer) had become one of only three Americans in history to win Olympic gold in the 200m freestyle. In 2000, Furniss was considered to be one of the top swimmers of the last century and was added to the elite club of USA Swimming’s Swim Team of the 20th century. The Olympic speaker knows more than most what it is to taste the heady heights of fame and success. However, what makes his achievements even more impressive is the fact that he has suffered from the arthritic illness Ankylosing Spondylitis. A qualified journalist, Bill took part in the Los Angeles Olympic torch relays of 1984, 1996 and 2004. 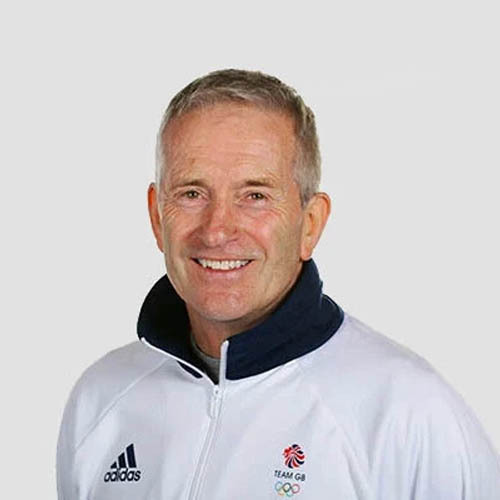 To book Olympic swimming coach, Bill Furniss as the after dinner speaker for your corporate event or conference, simply contact the Champions Speakers agency by filling in our online contact form. Alternatively, call a booking agent directly on +44 1509 85 29 27.